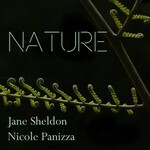 Nature / Jane Sheldon, Nicole Panizza. 22 May 2016: at Against the Tide (Kendall School of Arts Hall). Featuring Julie Paik, Jeanell Carrigan. These settings of Wallace Stevens's aphoristic poems are wonderfully contrasted and characterised, full of colour and variety. They require good musical preparation and the ability to colour vocal tone according to the demands of the setting. 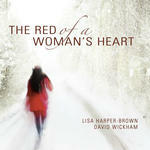 Peggy's vocal work, her operas and songs, represent an important turning point in mid-20th century history. At a time when modernism was reaching its high point, her work breaks away from European traditions and searches for new clarity in a new world. This setting of Wallace Stevens counts amongst her most articulate and poetic pieces. Twenty years ago I had the good fortune of recording all her songs with Gerald English. It still stands out as a highlight. The contrasts in mood and character of Wallace Stevens’ texts used in the 13 short songs of this cycle are also reflected in the different uses of compositional styles and techniques. Achieving the balance and contrast between the different movements of the cycle by delivering the ‘message’ the bird has to tell in each song and throughout the cycle are a challenge for both singer and pianist. 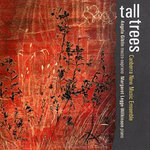 An intriguing and accessible song-cycle made up of 13 miniatures, setting evocative poems by Wallace Stevens. Mainly lyrical and quite meditative, but some exciting, surprising songs as well. Not very demanding technically and musically, but many possibilities for expressive and colourful interpretation.